Here’s our weekly roundup of new air routes. 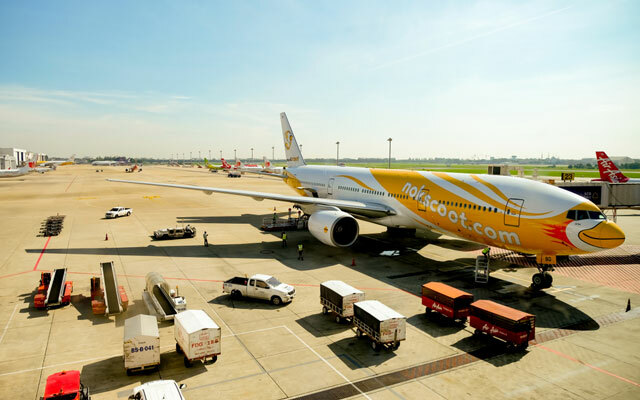 NokScoot will launch its latest route from Bangkok’s Don Mueang Airport to Delhi’s Indira Gandhi International Airport on December 18, 2018, marking the Thai carrier’s inaugural service to South Asia. XW306 will depart Don Mueang Airport at 22.35 and arrive in New Delhi at 01.15 the following day. Return flight XW305 will depart New Delhi at 02.55 and land in Don Mueang Airport at 08.15. NokScoot will operate the four-times weekly Bangkok-Delhi service using Boeing 777-200 wide-bodied jets, configured with a total of 415 seats. Xiamen Airlines has launched a new direct flight between Paris and Fuzhou on December 11. The Paris-Fuzhou route operations thrice weekly on Tuesdays, Thursdays and Sundays. Flights depart Paris at 13.30 and arrive in Fuzhou at 07.30 the following morning, and the return flight will depart Fuzhou at 00.30 and land in Paris at 06.55. A Boeing 787 Dreamliner will be operated on the 13.5-hour route. From December 22, Vietjet will start operating daily return flights between Phu Quoc and Seoul. The 5.5-hour service will depart Phu Quoc at 15.30 and arrive at Seoul at 22.45. The return flight will take off from Seoul at 01.45 and land in Phu Quoc at 05.35. The airline currently operates seven other routes between South Korea and Vietnam, including Seoul-Hanoi/Ho Chi Minh City/Hai Phong/Danang/Nha Trang, Hanoi-Busan and Danang-Daegu. In December 2018 alone, AirAsia Thailand has inaugurated flights on 10 new routes, comprising nine international destinations – the bulk of which are new links to China and India – and one domestic connection. The Thai LCC will also begin four times weekly flights between Khon Kaen and U-Tapao (Pattaya) on December 21. Air New Zealand is set to operate flights between Singapore and Christchurch from December 2019, subject to slot availability. The airline will operate a five-times weekly seasonal service between Singapore and Christchurch from December 1, 2019 to February 22, 2020 using a new configuration Boeing 787-9 Dreamliner aircraft. Up to now, Singapore Airlines has been operating the seasonal service three times a week, in addition to its daily service between Singapore and Christchurch. Tickets for the new service will go on sale January 23, 2019.